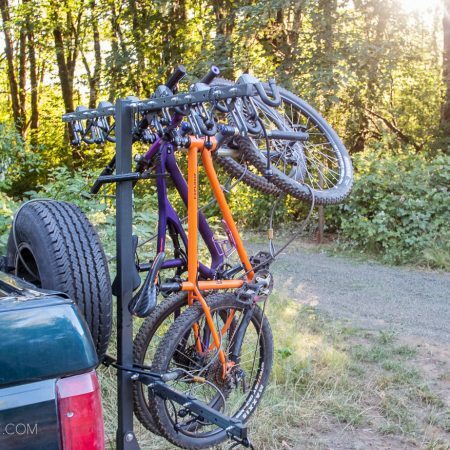 The PDW Bindle Rack is a post mounted rack suitable for touring or the daily haul. Easy to install, it’s a quick and viable solution to carrying heavier loads in a seat pack without committing to a traditional rack. The Bindle Rack is constructed of lightweight alloy and equipped with heavy duty compression straps that loop through saddle rails. Like traditional racks, the right accessories are a necessity to tote actual cargo. 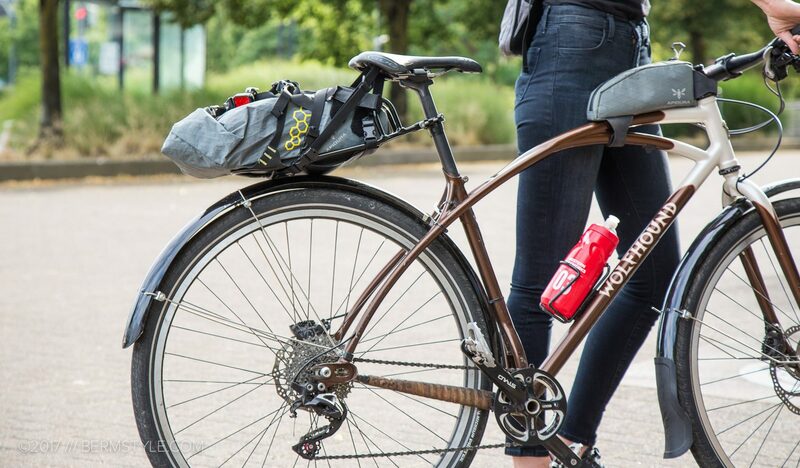 In the case of the Bindle, its optimized for use with high volume bike packing style seat bags. 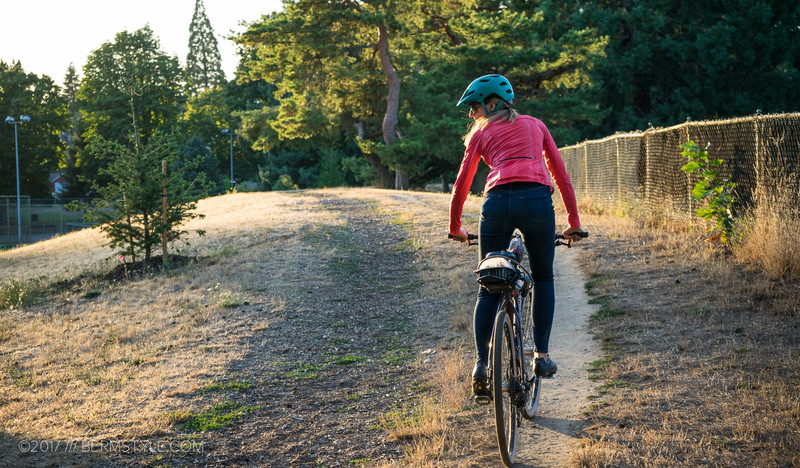 Bike packing seat bags range in sizes, and can haul quite a bit, but they’re known for swaying about, and also have weight limits. 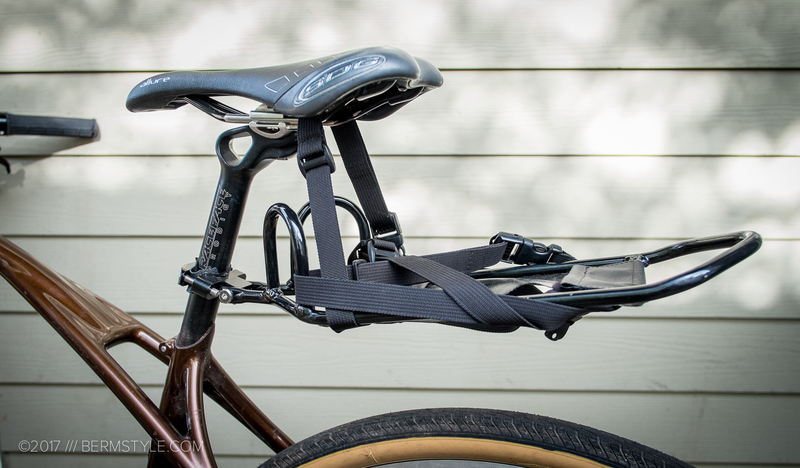 Towards that end, the rack is designed to be used with in conjunction with compression straps and seat rail support that stabilize high volume bags securely. We’ve been running it on a fully rigid 29″ mountain bike for the last few months and can attest to its usefulness. The Bindle has three straps that can be adjusted for a variety of configurations. Like any rack, the bags you use are half the equation to ensuring a positive experience. 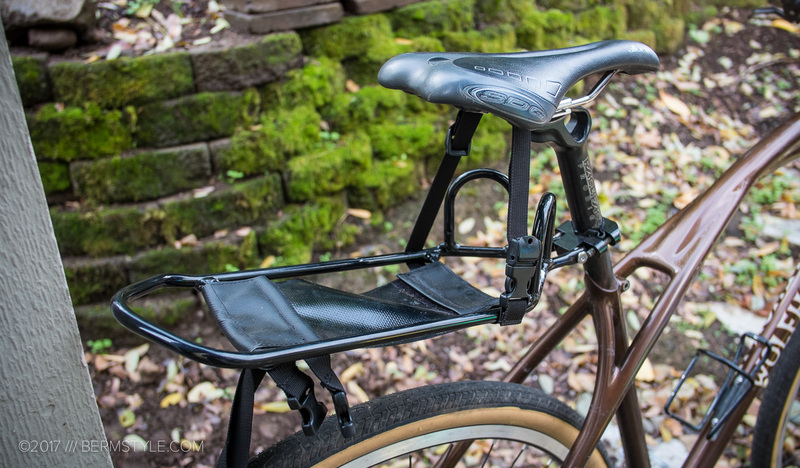 In my case, I already had a seat posted mounted Apidura Saddle Pack I acquired for bike packing trips. I also used it successfully to carry stuff on my commute and get my gear off my back. So why would I need a rack? 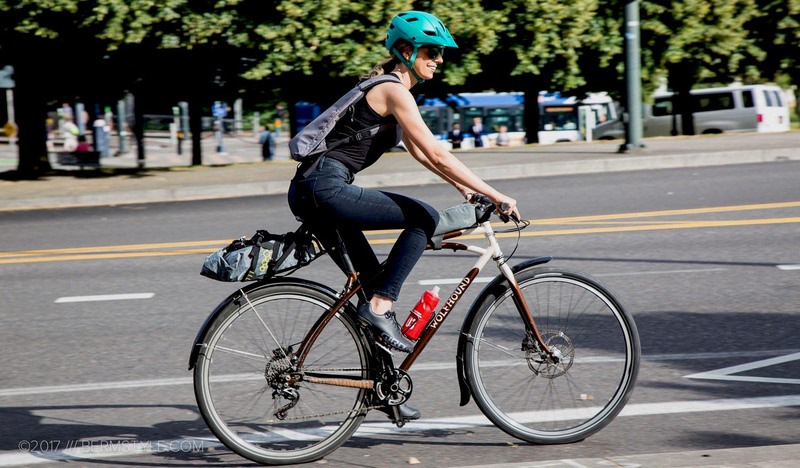 For one, there is a downside to the Saddle Pack — it takes time to install and remove it, which is a pain during a quick stop at the store on the ride home. It also has a weight limit. It’s far easier to stick the Apidura Pack onto an existing rack as I’m not finagling with straps and adjustments to get it strapped in properly. Geared up with my favorite bags from Apidura, paired with the PDW Bindle Rack. PDW recommends the Terrapin Drybag by Revelate as its tapered shape fits the rack platform perfectly. 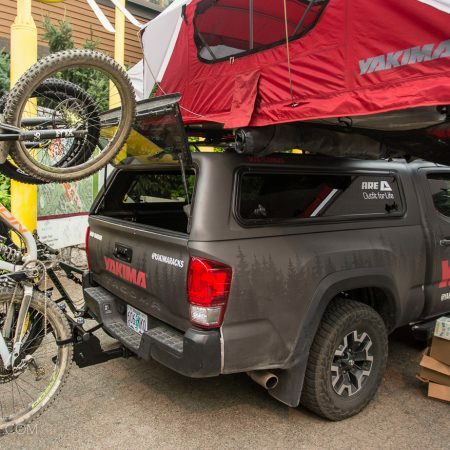 Either way, like anything bike packing related, it takes a bit of time to figure out your ideal configuration. 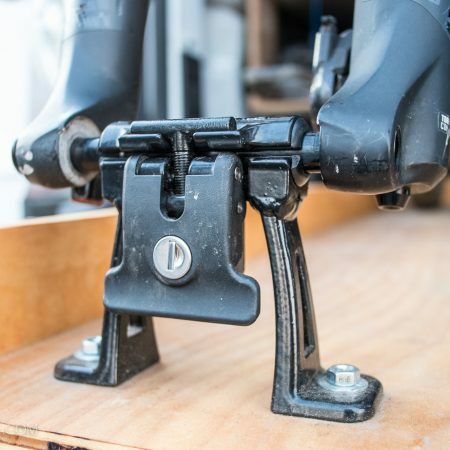 As the bolt that attaches the rack to the post clamp isn’t designed to support the weight of the cargo, figuring out the right mounting point on the post is important, as it the strap configuration which is necessary support for the rack. We aren’t been fans of traditional racks. Not only do they add weight, they’re bulky and make carrying bikes up stairs a pain. 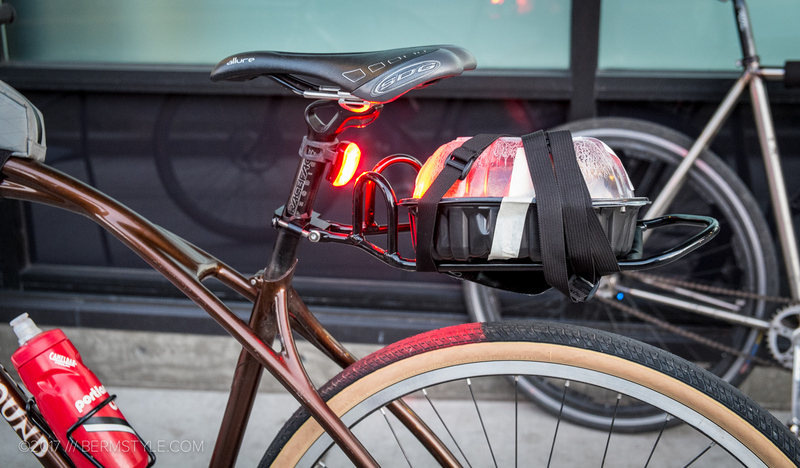 The aesthetic isn’t our favorite either, but for commuting and errands, its hard to beat the functionality. Except every time we get another one, a year later we take it off and give it away. It’s almost a cycle for us. I’ve been much happier using the Bindle in conjunction with my saddle pack and a minimal laptop pack for getting around. 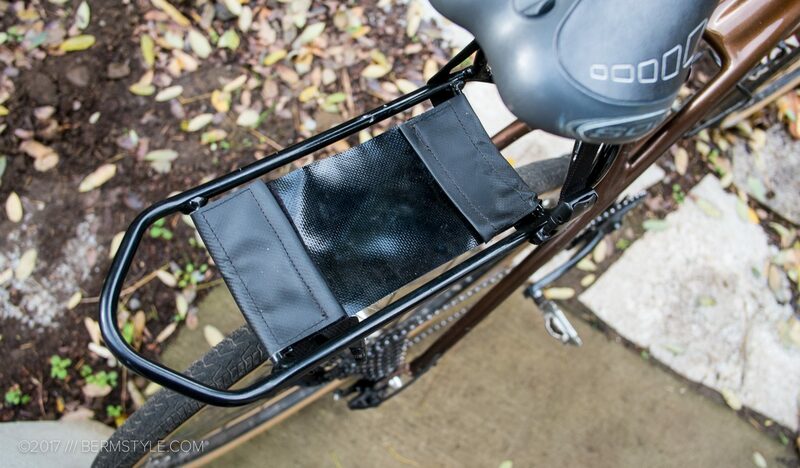 I’m amazed by the lack of side-to-side sway with this setup alone and by how secure the rack and straps are. I’ve tested it with a number of different loads and random items, (including a whole roasted chicken) and have never had an issue. I haven’t had the opportunity to take it bike packing as of yet but as we’re still dialing in our configurations, I’m definitely looking forward to it. The PDW Bindle Rack lists for $88.00 for the base rack with additional accessories available separately. Learn more at RidePDW.com.